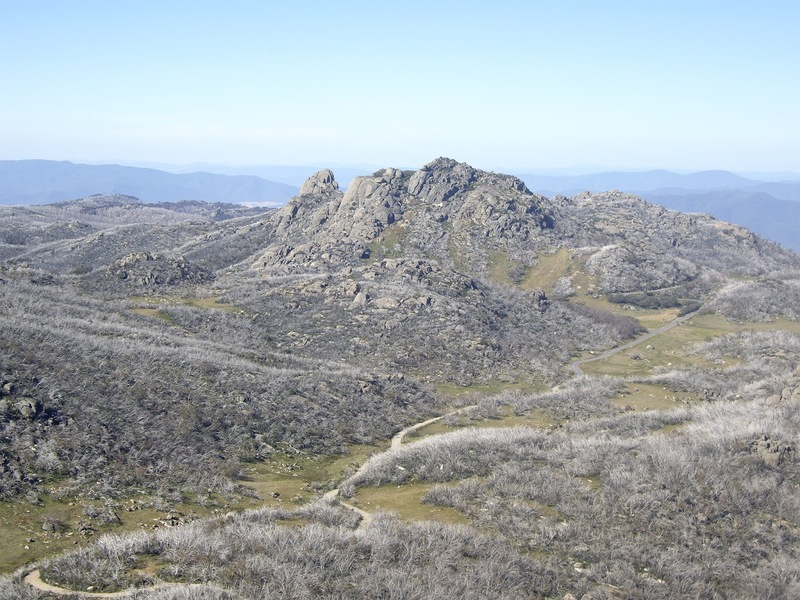 Mount Buffalo is one of the many climbs close to the Victorian township of Bright. Approximately 350 kilometres from Melbourne, it’s well worth the near four-hour drive to climb its winding road that takes you through some of the most breathtaking scenery in the Australian Alps. Similarly to the climb up Mount Buller, Buffalo’s 5% gradient doesn’t sound too imposing on paper. But there’s little respite along the route, save for the brief descent to the junction separating the chalet road, or if you’re really fair dinkum, the sealed road to the Horn. Climbing Mount Buffalo in the early morning, before the sun’s rays begin to bite, is a far different proposition to tackling the mountain at the end of a long day’s ride. 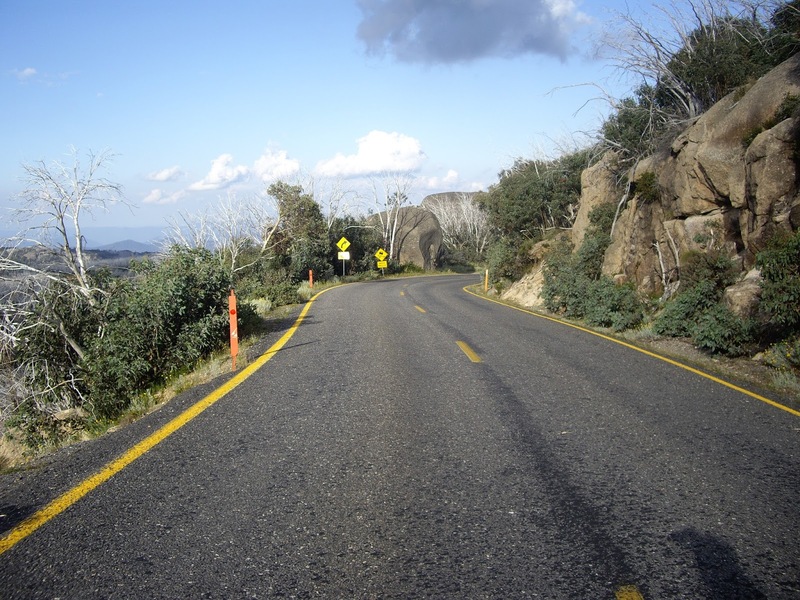 The 200 kilometre Audax Alpine Classic ride has, until recently, used Mount Buffalo as its final climb of the day. With 70 kilometres still remaining, by the time you reach the gatehouse, which marks the beginning of the long grinding ascent, there’s a good chance you’re already spent before the first turn of the pedal. Serving as a reminder that from here there’s no way but up, Buffalo’s granite tors loom high above. Gradually, the mountain road’s familiar landmarks are passed one by one. Not two kilometres into the climb is Eurobin Falls, followed by a sharp right-hand turn and an immediate rise in gradient to go with it. Five kilometres further up the road is a welcomed stretch of false flat, the only respite you’ll get until you make the short descent towards Lake Catani. One of the few opportunities to think about scenery, you might be interested to know that you’re now surrounded by a hotchpotch of Eucalypts, Long-leaf Box, Apple Box, Strinygbarks and Candlebarks. Continuing to twist and turn like a wriggling worm, the road reaches Mackeys Lookout. Now halfway up the climb, there are magnificent views to be had, should you have the energy and inclination to take your eyes away from the barely-moving numbers on your bicycle computer. With the road straightening, there’s now no letting up from the seemingly-harder 5% gradient. 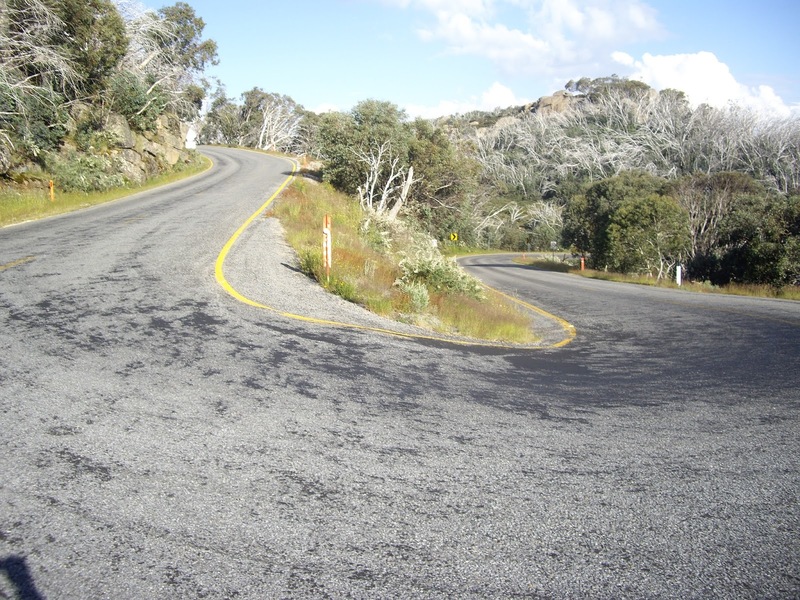 Probably the toughest section of the climb, (I’ve always found it that way), the road begins to meander once again, before turning back on itself and delivering you to the much-longed-for short descent towards the plateau. But nothing in life is that ‘easy’; and Buffalo is no exception. Whether you turn left at the fork towards Mount Buffalo Chalet or right, in the direction of the Horn, via Dingo Dell and Cresta Valley, more pain awaits. Cycling masochists usually choose the second alternative; and it is well worth the additional effort. You’ll most likely have the road to yourself, the views are magnificent, while the descent back to Lake Catani is the icing on the cake. After your first day of cycling one dream is inevitable. A memory of motion lingers in the muscles of your legs, and round and round they seem to go.